Fiji’s third largest city, the town of Nadi is a perfect starting point to discover the tropical charms of the spectacular South Pacific islands. Your gateway to Fiji, Nadi sits on the western side of Viti Levu and offers easy access to the natural wonders of the islands, as well as the international airport. Cruise the breath-taking outer Fijian islands, go diving amongst colourful marine life, take a hike through amazing rainforests or visit a sacred cave – the choice is yours! Pick up jewellery, clothing, arts and crafts at Nadi’s vibrant marketplace and try your hand at haggling. The bustling town centre welcomes you with colourful souvenir shops and delightful restaurants, ranging from relaxed cafes to five star international eateries. After a busy day’s activity, unwind on the beautiful main beach at Nadi Bay and watch the spectacular sunsets over the Mamanuca and Yasawa Islands. Other must-see Nadi highlights include Natadola Beach, the Orchid Gardens and Fiji’s largest Hindu Temple. 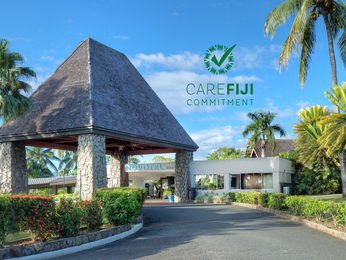 If you’re looking for conveniently located hotels in Nadi, consider AccorHotels' inviting and comfortable Mercure Nadi or Novotel Nadi. 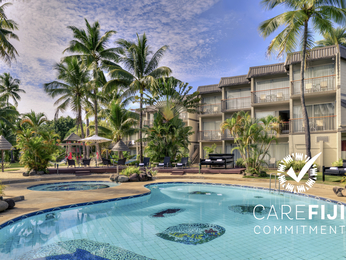 Both of our beautiful Nadi accommodation options are idyllically situated amongst lush, tropical gardens. Our friendly staff are dedicated to making your stay comfortable and enjoyable, and are more than happy to help plan excursions and activities during your holiday. 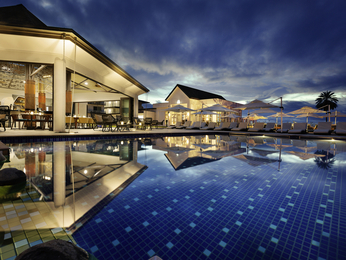 Contact us now for more information about AccorHotels' hotels in Nadi.